India has seen the member base grow from 3.4 million members in November 2009 to 50 million members today. Professional network LinkedIn has crossed the 50 million members in India. 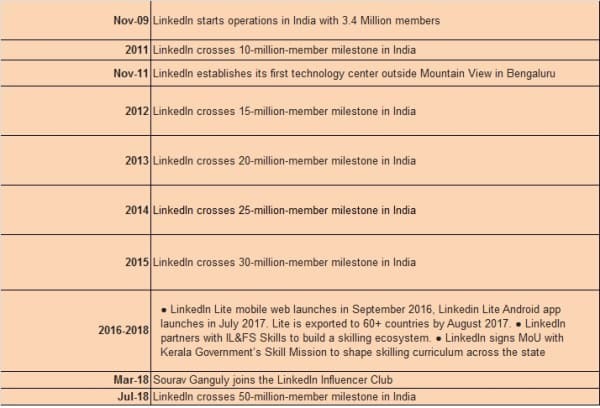 As LinkedIn’s fastest-growing and largest market outside the US, India has seen the member base grow from 3.4 million members in November 2009 to 50 million members today. The India member base has doubled in the past four years. 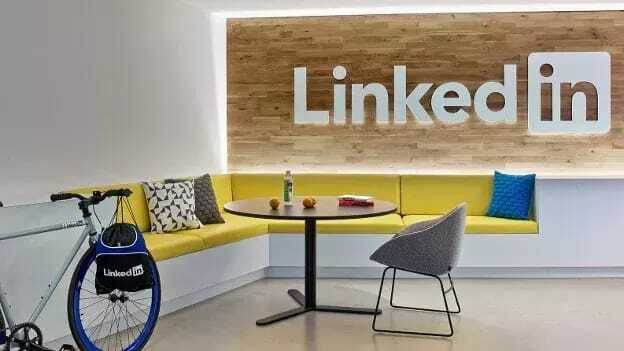 The milestone comes as in India, LinkedIn has focused on a localized approach to democratize opportunity and connect professionals. LinkedIn’s ‘Made in India’ journey began with the launch of the lightweight mobile website in September 2016, followed by the launch of ‘LinkedIn Lite’ Android app in July 2017. In less than a year after launching in India, Lite has scaled to 135+ countries and supports 20+ languages. In May this year, LinkedIn announced the pilot launch of ‘Resume Builder’ for its Premium members in India, a product feature that helps professionals create a visually compelling resume with ease. The success of this will be tested over the next few months and will expand to all members over the course of the year. Last month, LinkedIn also launched the ‘Your Commute' feature on LinkedIn Jobs which will help job seekers to search for jobs based on commute time. In addition, it has rolled out other initiatives such as The Daily Rundown — a morning digest of the top news and trends professionals need to know to stay ahead, LinkedIn Lists such as Top Companies and Top Voices that use the best of LinkedIn data to empower members with industry knowledge to make informed career decisions., and the Campus Editor Program that brings student voices and perspectives to LinkedIn’s members worldwide. NEXT STORY: TechHR 2018: Top sessions not to be missed on Day One!